Bucket full of beautiful new surprises but Windows 10 might fall short of being perfect for some users. Syncing is considered a very important feature of any operating system now. As we move toward features like Continuity and Continuum, Microsoft is apparently cutting down on some important syncing features. 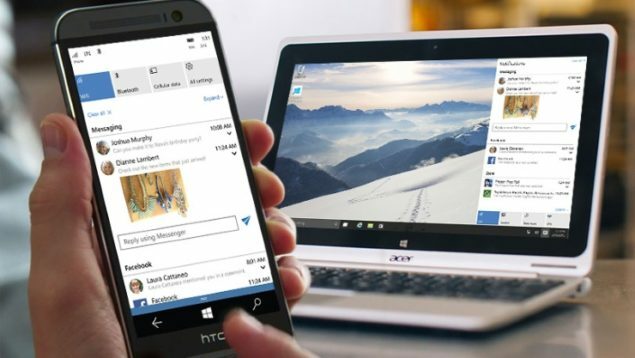 Why would Microsoft decide to cut down syncing features? Users can sync Start menu layout across all the Windows 8 / 8.1 powered PCs, tablets and other devices – something you won’t be able to do once Windows 10 lands on your machines. Windows 8 / 8.1 also syncs app installations (a very important feature), however, this too will go away with Windows 10. With Windows 8.1 and initial Windows 10 feedback we found that customers typically want to personalize the Start layout to match the device they are using. With the new Windows Store, scalability of universal Windows apps is fully supported across all of your devices. This means that customers can get their apps and settings available across all of their devices and still create custom Start tile layouts that make the most sense for each device and screen size. Removing the Start menu layout sync seems reasonable because of a wide variety of devices that will be flaunting the upcoming operating system. However, syncing of apps installation is a very important feature and it would be a major miss as Microsoft launches truly universal apps for Windows 10. We will wait for how Microsoft justifies this move as right now this removal doesn’t seem to be making any sense as it only removes an added convenience that many users were accustomed to with Windows 8/8.1.